With Track & Trace, you can always keep an eye on your national deliveries. 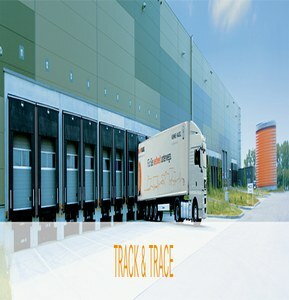 Here you can track the current status of your delivery for the forwarders Kühne & Nagel, Krage and DPD at any time. In order to continue the secure, quick and cost-effective shipment of goods by air, our air freight undergoes a security check by explosive detection dogs at our service provider prior to loading. After that, they will hand over the air freight to customers’ air freight carriers. The use of explosive detection dogs (EDD) approved by the Federal Office of Aviation enables us to load goods without any manual intervention and thus continue to keep the risk of damages to a minimum. The previous process of sending our air freight in a simplified manner as a “known consignor” is subject to the requirements of EU Regulation No. 2015/1998. Over the last few years U.I. Lapp GmbH has made considerable efforts to maintain this status obtained in November 2012. However, since the requirements to obtain certification are continually increasing and are associated with ever rising costs, U.I. Lapp GmbH decided to return the status of “known consignor”. Do you have any questions? Please send an e-Mail to Ms Stefanie Tesin.